The first match of Super Sunday will be played between Royal Challengers Bangalore and Delhi Capitals at RCB's home ground at the M.Chinnaswamy Stadium in Bengaluru. RCB have had the wood over Delhi and have won the last five matches against Delhi. Delhi have lost three out of five matches this year and have dished out shockers in the last two matches. As for RCB, the situation is much worse as they have lost all five of their games and are staring down the barrel. One more defeat and the season would be as good as over for them. Hence, the team would try with all its might to make an impact against Delhi. 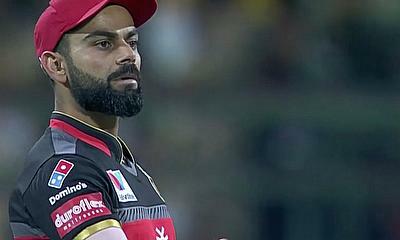 The closest RCB came to a win was in the last match against Kolkata Knight Riders but KKR succeeded in winning it in the last over. One believes that with Bangalore already having suffered five defeats, it's about time that law of averages will catch up and they will attain their maiden win of IPL 2019. The biggest concern for the team is their death bowling as their batters have scored more than 200 runs twice but the bowlers have not succeeded in defending it. Delhi Capitals have a gun batting line up with Shikhar Dhawan and Prithvi Shaw at the top, followed by skipper Shreyas Iyer, Rishabh Pant and Colin Ingram. All they need is a bit of sensibility. The bowling as well has its bases covered with overseas pacers Kagiso Rabada and Trent Boult, Indian pacers Avesh Khan and Ishant Sharma, Indian spinners Amit Mishra, Axar Patel and Rahul Tevatia and overseas spinner Sandeep Lamichhane.